UAE grades top worldwide economy sectors, according to a report that estimates Islamic finance resources would flow to $3.8 trillion during internationally Muslim employ on food and beverage would reach $1.9 trillion by 2023. 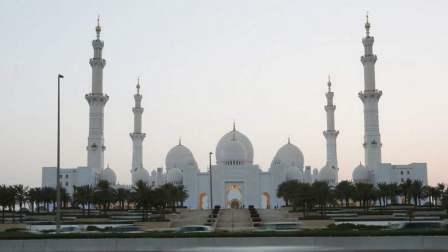 UAE rank number one in the five Islamic sectors. The five Islamic sectors are halal food, halal travel, modest fashion, halal media and recreation, and halal pharmaceuticals and cosmetics. Last year, UAE rank on the top of the three. Now according to the report titled 'An Inclusive Ethical Economy' and from the Dubai Islamic Economy Development Centre (DIEDC). UAE pointed by the Saeed Al Mansouri, Minister of Economy and Chairman of DIEDC, "The rise in the country's standing testifies to the commitment of DIEDC's partners to implementing the center’s initiatives, their significant contributions to the development of the Islamic economy in Dubai, as well as the success of the UAE's sustainable development drive as part of its post-oil economy vision," said Al Mansouri. Abdulla Mohammed Al Awar, a chief executive officer of DIEDC, said annual report offers fresh facts, "This year, we have witnessed a surge in demand for products that not only conform to Shariah-compliant financing and stringent environmental sustainability, health and safety standards but are also manufactured using halal-certified ingredients. The consistency that is integral to the supply chain explains the rising attractiveness and uptake of Islamic economy products among the global population,"
The finding report by the Thomson Reuters in association with Dinar Standard and the Dubai International Financial Centre (DIFC), were exposed at a conference held at the DIFC on the second day of the Islamic Economy Week. The Islamic economy has proven its ability to maintain with the latest developments in technology and investment. Companies are approving blockchain for payments and investment to confirm the halal companies. Meanwhile, artificial intelligence (AI), virtual reality (VR) and the internet of things (IoT) are today attracting more investments than ever before. According to Khamis Bu Haroon, acting CEO and vice-chairman of ADIB, "The UAE's initiatives to create an open economy and an environment for businesses to flourish make it a natural center for Islamic manufacturing, services, trade, and investment," he said. Anita Yadav, senior director - head of FI research at Emirates NBD, “The government is undertaking several measures to encourage adoption of Shariah-compliant standards in banking, in food processing, in tourism etc. It is also spending money on setting up in tech companies in the Islamic finance space as well as launching clear rules for listing of Islamic products on the local stock exchanges," she said. Atik Munshi, senior partner at Crowe, “Generally, the Islamic economy is better known for 'Islamic finance' and 'halal food' products; though in fact the Islamic economy is much wider and encompasses products and services like Islamic fashion, Islamic cosmetics, Islamic travel, Islamic pharmaceutical and many others. "The size of such economy is substantial - it is more than $2 trillion and expected to reach $3 trillion in a few years. This sector is fast growing because of the increase in population as well as increasing demand, awareness and availability of such Islamic products worldwide. Islamic finance products are considered more stable and hence even non-Muslims invest in the same," Munshi said.